This is a story about a young girl’s adventure while on a family vacation in Puerto Rico. During a nighttime family excursion, she and one of her cousin, Sebastian, are taken to La Parguera. 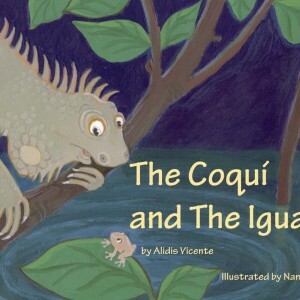 Sebastian tells her a story about a native frog, the coquí, and an iguana. The coquí was frightened on a moonless evening and ceased his nightly chant. 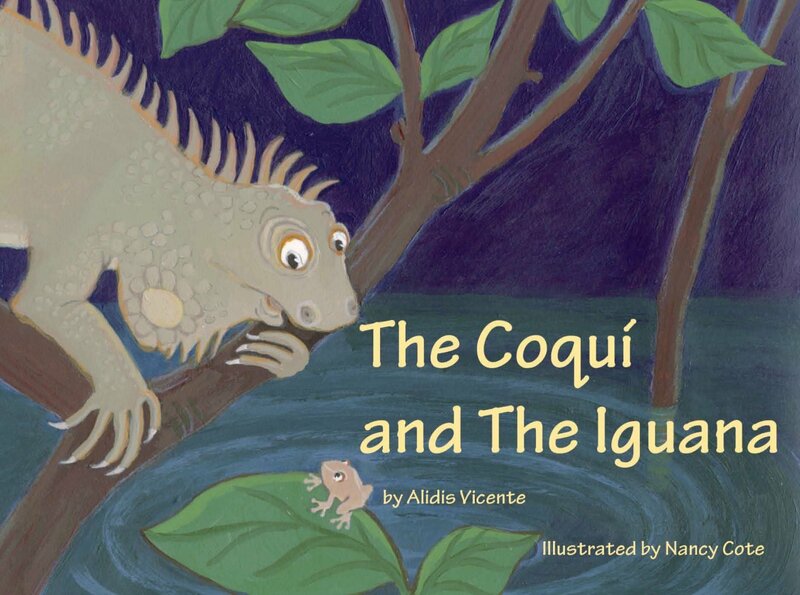 The iguana, relying on the coquí’s singing to lull him to sleep, shows the coquí that there is light even in the darkest situations. After the tale, Sebastian shows his cousin that La Parguera’s water appears to glow in the dark.